¿Why investors are moving from wine to whisky? It seems that pressure from Asian investors in the wine world has discouraged traditional investors. Due to skyrocketing prices of top wines, investors are increasingly turning to Scotch and Japanese whiskies as an alternative investment. Wine lovers will always be loyal, but trends always influence, like it or not, our decision making when buying and maybe more people could want to give a chance to whisky with these trends, which after occurring among investors will reflect also in the market and consumers. 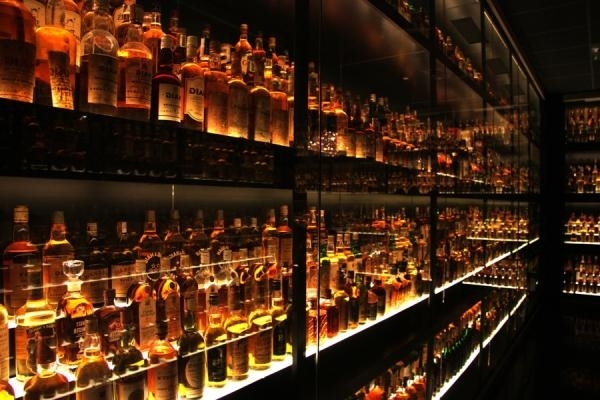 In reaction to the growing number of fine wine investors setting their sights on whisky, Rickesh Kishnani, CEO of a wine investment company based in Hong Kong, created the first worldwide whisky fund in June. Investors are looking for malt Scotch whisky brands such as Macallan, Bowmore and Dalmore, along with Karuizawa and Yamazaki, Japanese whiskies. Recently a bottle of Hanyu Ichiro Malt Ace of Spades (Japanese whisky) sold for HK $ 85,750 (equivalent to 8,400 Euros) at a Bonhams auction in Hong Kong, exceeding the price of a case of Chateau Margaux 1982 sold at Sotheby’s New York in June. The bottle of this Japanese whisky was number 5 of 122 distillations in 1985, aged in old sherry casks and bottled in 2005. As a result of this boom, tender prices of old and rare whiskeys are soaring. 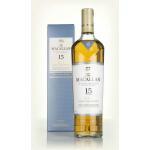 A sign of it: Sotheby’s sold a Macallan “M” single malt 6 litres in January at $ 4.9 million (over 3,750,000 Euros). According to the Scotch grade index of investment, top 100 single malt whiskies gave an average yield of 440% since the beginning of 2008 until the end of July this year. ?It’s crazy, demand has skyrocketed?, said David Wainwright, managing director of the auction house Zachys Asia. In addition to the rising value of old and rare whiskeys, the recent increase in demand has fuelled fears about speculators flooding the market. With about 100 distilleries in Scotland for malt production, many are unable to keep pace with the recent surge in demand, due to the long ageing process of whiskey. It is expected that auction market of whiskey will continue increasing its numbers this year, and on the other hand, the decline in value of fine wines can be great news for many who seek to enrich their personal cellars. Today we recommend two whiskeys to invest… If you can avoid the temptation to open them! Leave a Comment ¿Why investors are moving from wine to whisky?